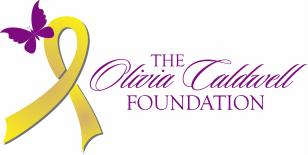 Here are some of the research projects funded completely or in part by Olivia Caldwell Foundation. To date, we have donated $325,000 to pediatric cancer research with a specific interest in the treatment of low-grade gliomas and other pediatric brain cancers. We have provided full funding for 6 research projects and been a partial funder of 30 additional research projects. We've also helped our Research Team secure an additional $2.5 Million in additional Federal Funding to further the research projects we've supported. Project Seven: Vincristine and Vinblastine: Is checking bilirubin mandatory in children with Brain Tumors? Project Eight: MPS1 Kinase As A Potential Therapeutic Target In Medulloblastoma. "We need however to understand more fully the mechanism of oncogenesis and resistance if we are to optimize these therapies. Of particular importance are careful clinical trials backed by study of tumor tissue in children, both at presentation and when both conventional and targeted therapy fail. This is not just a matter of benefiting future generations. For the child whose therapy fails, understanding why is essential to guiding future therapy and ensuring that child does not get multiple therapies with their damage over time both to the immediate, and possibly long term, quality of life. The development of new targeted therapies is enormously exciting and promises new and better therapies for our patients."